Clipping Chix: Rite Aid: Two Finesse Shampoo or Conditioner FREE after Plenti Points! 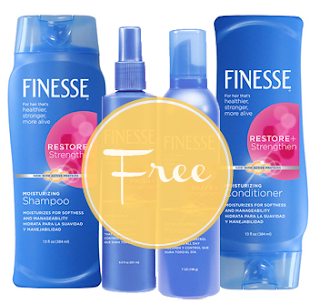 Rite Aid: Two Finesse Shampoo or Conditioner FREE after Plenti Points! Next week at Rite Aid, score up to four free bottles of Finesse shampoos, conditioners and stylers! The hair care products will be on sale, two for $4.00. Plus, receive 400 Plenti Points when you buy two, making the bottles free. This Plenti Points promotion will have a limit of two. That means you can do the deal twice and score four bottles for free! Total $4.00 plus receive 400 Plenti Points, making them FREE after points!